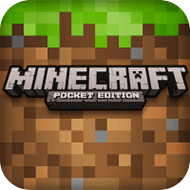 What do I need to know about Minecraft: Pocket Edition? Is content on Minecraft: Pocket Edition suitable for children and young people? We asked parents and young people about the types of inappropriate content they’ve seen on Minecraft: Pocket Edition. The level of risk is based on the % of respondents who reported seeing these types of content. The ratings are: Low Risk (less than 5% of respondents); Medium Risk (between 5 and 25%); and High Risk (over 25%, or more than one in four). "Explore randomly generated worlds and build amazing things from the simplest of homes to the grandest of castles. Play in creative mode with unlimited resources or mine deep into the world in survival mode, crafting weapons and armor to fend off the dangerous mobs." "Minecraft is one of the most popular kids games – our top tip is to turn off any chat features in the settings of the app. This will make sure that if your child does want to play online; they won’t be speaking to any people you wouldn’t want them to." What's the right age for Minecraft: Pocket Edition? Any age with parent permission. This is Minecraft’s own guidelines and is accurate as of March 2018. Based on 812 votes from visitors to the Net Aware site – you can vote too. We asked parents how easy they thought it would be for a child to pretend to be older in order to sign up to Minecraft: Pocket Edition, and whether they had to verify their phone number or email address. Based on these answers, Minecraft: Pocket Edition has received a neutral rating for its sign up process. We asked parents how easy they thought it would be to find ways to report unsuitable content or behaviour, and how to block people from contacting you. Based on these answers, Minecraft: Pocket Edition has received a neutral rating for its reporting and blocking process. We asked parents how easy it was to change the settings so that your profile and account is private, and how easy it is to turn off location settings. Based on these answers, Minecraft: Pocket Edition has received a neutral rating for its privacy settings. 67% said they know how to change their privacy settings on this site. 58% said they know how to change their location settings on this site. We asked parents how easy it was to find out whether Minecraft: Pocket Edition has rules or community standards, and how easy it would be for a young person to find information about keeping themselves safe on this platform. Based on these answers, Minecraft: Pocket Edition has received a neutral rating for its safety and support. Most sites have ways to report stuff that’s upsetting. Shall we take a look? What are other networks like Minecraft: Pocket Edition? 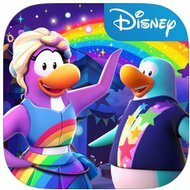 Club Penguin is a multiplayer game where you can explore a virtual world and chat to others. Miniclip is a gaming website that hosts games; used on social networks and online gaming platforms. 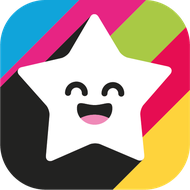 PopJam is a creative app and website where you can create and share art and take quizzes. 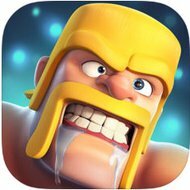 Clash of Clans is a game where players can chat, build armies and battle each other. 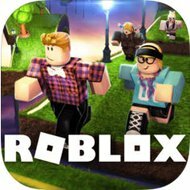 Roblox is a game where you create your own games, play others’ games and chat with others.